Membership matters – Join us today! Looking to renew your membership? Click here or email us at info (at) conservationnw.org or give us a call at 206.675.9747. Or learn about automatic Monthly Giving, Legacy Giving, Matching Gifts or our annual Auction & Dinner. 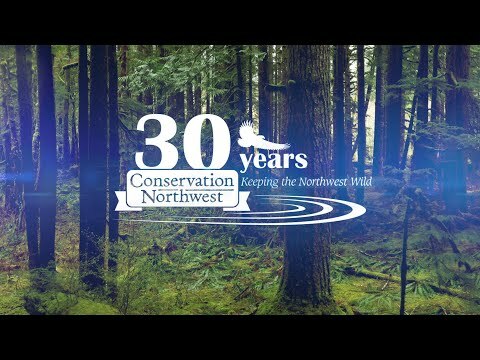 Members of Conservation Northwest not only love the outdoors and wildlife, they actively protect it by supporting our vital work. Memberships start at just $35 a year. Your tax-deductible membership with Conservation Northwest supports our efforts to protect, connect and restore the wildlands and wildlife of the Pacific Northwest. Thank you for making this work possible! Become a member (or renew) through our secure online donation form! Note: Cetera is associated with Columbian (formerly Pacific Continental). Some contributors may still have our Morgan Stanley account which has been closed since February 2018. We invite you to contribute through easy and secure monthly or quarterly, automatic bank or credit card transfers. You can sign up-online. Please see the Wildland Partners page for more info. Will your work double your gift? If your employer matches donations to charitable organizations, we can work with you to double your support. Learn more on our Matching Gifts page! We are a Better Business Bureau Accredited Charity. Receive invitations to members-only conservation events, volunteer opportunities, local activities and other chances to connect with our staff, work and wildlife and wildlands in our region. Stay connected through The Conservation Connection, our monthly E-newsletter filled with the latest conservation news and ways to take action. Enjoy being a part of our conservation community, and knowing you are protecting and restoring our region’s natural heritage for future generations! Members of Conservation Northwest automatically receive our monthly Conservation Connection electronic newsletter and our WILD NW Action Alerts. Conservation Northwest does not share lists with other parties. In addition to our monthly E-Newsletter and action alerts, we occasionally send specific emails regarding urgent issues and donation or membership opportunities. To change your email settings, please contact info (at) conservationnw.org or give us a call at 206.675.9747. Not a member yet? You can still sign up for our emails! Our Washington State UBI # is 601 135 446. Conservation Northwest is a 501(c)3 charity based in Seattle, Washington. All donations are tax-deductible to the full extent of the law.